Ben Barress, M.D., Ph. D.
Dr. Barres' major area of research is neuron-glial interactions in the developing central nervous system. He has pioneered the development of novel methods for the purification and culture of neurons and glial cells. Using these methods his lab has discovered that glial cells induce the formation of synapses as well as sodium channel clusters at nodes of Ranvier, both of which are necessary for rapid propagation of electrical signals in the brain. His lab has also discovered that electrical activity itself is necessary for the normal survival and growth of neurons. This has important implications for understanding how we learn as well as why the brain and spinal cord is not able to regenerate after injury. Dr. Barres graduated from the Massachusetts Institute of Technology, obtained an MD degree at Dartmouth Medical School and completed his neurology residency at Cornell. He then obtained a PhD from Harvard Medical School and did his postdoctoral training at University College London, prior to joining Stanford in 1993. Dr. Barres presently serves on the editorial boards of several leading journals including Neuron, the Journal of Neuroscience, and Development. He is a diplomate of the American Board of Psychiatry and Neurology. 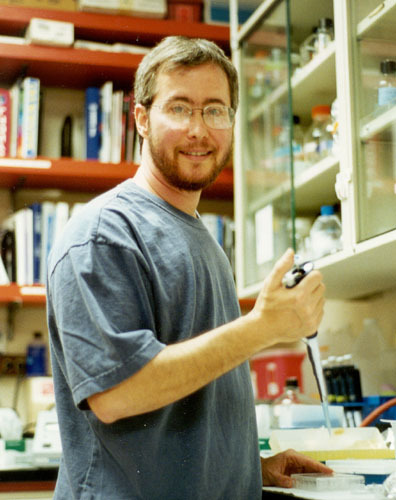 He has won many research awards including a Life Sciences Research Fellowship, the Klingenstein Fellowship Award, a McKnight Investigator Award, and a Searle Scholar Award, as well as teaching awards including the Kaiser Award for Excellence in Teaching and the Kaiser Award for Innovative and Outstanding Contributions to Medical Education. He presently serves on several advisory committees for the Society for Neuroscience, the National Multiple Sclerosis Society, and the National Institutes of Neurological Disorders. See also the following San Francisco Chronicle article"
This page is contained in Lynn Conway's website, as part of a large portfolio of stories of successful gender transitioners. For more information about gender transition, see the TG/TS/IS information pages in Lynn's site. For links to photos and stories of many other successful transitioners, please see the "TS Women's Successes" and "Successful TransMen" pages in Lynn's site. For your convenience in sharing that information, those pages have been translated into many languages.